How much is a human life worth? For Tomizawa Takuya, a young white collar worker who was soon to be married, it was a thought that never crossed his mind. He signed his name as his mother’s beneficiary for what he thought was the loan to her restaurant but soon learns that she was investing in the stock market. The financial bubble burst and the 100 million that she borrowed was all gone. The loan originated from Kugayama Tenzen, an incredibly wealthy and successful businessman who owns almost all of the major companies in the city and since his mother has disappeared, Tenzen has come after Takuya. Even after Tenzen literally takes everything from him including the clothes he was wearing, Takuya hasn’t even made a dent in the loan. Coming to a conclusion that it’s not an amount that could be paid off with a job like his, he decides to sell himself to Tenzen for 100 million. He basically becomes his personal slave and is under the complete mercy of Tenzen. Takuya learns what it means to sell your soul to the devil. 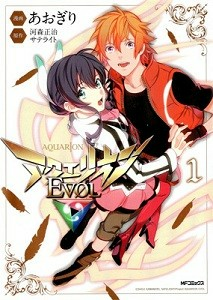 Set 12,000 years after "Genesis of Aquarion," Aquarion Evol features the planet Vega, which is plagued by mecha who are called "Abductors," who are kidnapping women. An organization called Neo-DEAVA trains 'Elements,' people who have the special ability to pilot the mecha called "Aquaria." The Elements are composed of two teams--male and female--who are kept carefully separate. The story features Amata Sora, a young man who keeps his ability to fly a secret. 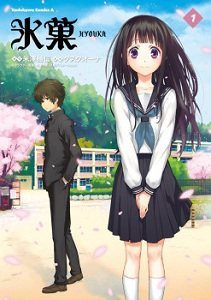 One day, he meets and befriends Mikono Suzushiro, an ordinary young woman. 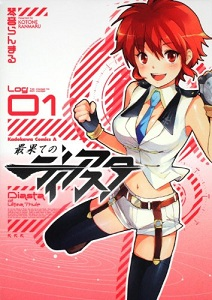 When Abductors attack the city, Amata finds himself having to use his special ability to protect Mikono. When he does so, he recreates the giant robot "Aquarion," combining the male and female teams into one in a forbidden union. Now that Amata's ability is revealed, he will have to work with Neo-DEAVA to protect Vega from the Abductors. In the future, robots have taken over many simple jobs, leaving many humans jobless. Many people are resentful of robots, and their resentment often bubbles over into violence. At first, this means little to teenage Arumi, who lives with her older brother. Their parents were killed in an accident, and their other living relative is their grandfather. Arumi's older brother has become frightened of the world outside his house and can't even bring himself to step outside without support. But the truth, which no one knows except Arumi's older brother and her grandfather (not even Arumi herself! ), is that Arumi actually died with her parents and the current Arumi is a robot. She was specially commissioned by the original Arumi's grandfather, who claimed his grief was too great with that final loss. She is exactly like a human in every respect, so it has been easy for her to remain secret and live an ordinary teenage life. After the death of her grandmother, her older brother finally revealed to her the shocking truth. Now Arumi has to consciously hide her identity in order to keep safe from the people who want to trash robots. Not to mention, her older brother wants her to get a part time job to pay for her own maintenance, thus allowing him to continue his shut-in, carefree life. How will Arumi handle this sudden twist in her young life? The cute flower shop in the city is owned by Kasumi, a young and beautiful woman who loves flowers. They are her friends and she can feel the emotions they carry within them. But love doesn’t pay the rent and her store goes under. 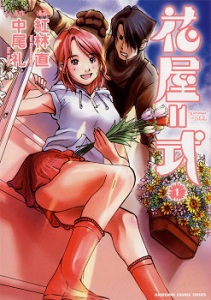 A man named Nabara Koji who is notorious within the industry for being strictly business and views flowers only as profit making machines buys out her store and Kasumi begins working under him. Spending time with Koji at the new flower store, she begins to see that Koji isn’t as heartless as people think and, at the same time, Koji learns the joy that flowers can bring to people. Oreki Houtarou is an "energy-saver" kind of guy, who expends as little energy as possible to do only things he has to. When he starts high school, his older sister sends him a letter asking him to join the Classics Club. The club meant a lot to her, and its number of members has been reduced to zero. 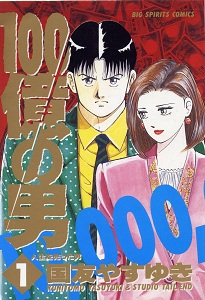 This manga is based on the memoir "Towazugatari," known in English as "The Confessions of Lady Nijo." Lady Nijo was a historical figure who lived from 1258- after 1307. "Nijo" was the name given to her at the court of Emperor Go-Fukakusa. Her real name is unknown. Nijo's mother died shortly after she was born, and she was taken in to be raised at court when she was 4 years old. The Emperor (15 years older than Nijo) loved Nijo's mother and transferred that affection to Nijo after her mother's death. 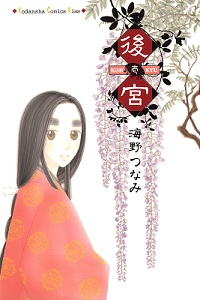 The manga begins with Nijo at 14 years of age, when she is given to the Emperor as his concubine. The story continues with the difficulties and scandals of Lady Nijo's life at court. In the far future, there exists a vast region of space that is yet to be explored called the New Space. The levels of new discoveries and dangers are unknown. The Dian sisters, Reina and Rio, made a promise to each other that they will one day journey into New Space together. The two sisters were separated and Reina became a pilot of the commercial luxury cruise liner spaceship Folshion. Rio is a tomboy who seems to have no self consciousness that she is a girl and who finally finds her sister. Rio is allowed to stay on the Folshion granted she finds herself a role on the ship. Sisters united once again, begin dreaming about the adventure into the new territory. Hanayashiki - interesting series about flowers. A little bit on the shoujo side but both genders can equally enjoy because of the comedy element that it brings in. Renai Boukun - Parody/inspired by Death Note obviously. Comedy/Romance combo that has staple situations but still have fun reading. 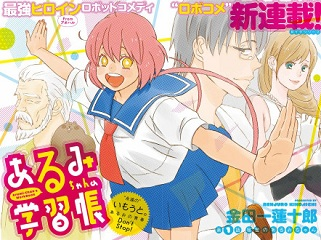 I'm a bit curious to see what fate falls the main character in 100 Oku no Otoko and what things he's forced to do... Manga from KINDAICHI Renjuurou is always interesting and funny so I'm definitely interested in Arumi-chan no Gakushuuchou and the topic doesn't sound done to death. If you haven't done so already, check out the scanlations of the mangas from previous shout outs which have been recently scanlated: supernatural romance Cubism Love (MH link). Some nice stuff this week. 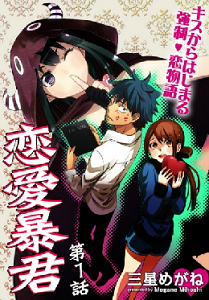 I can really recommend Love Tyrant aka Renai Boukun. Hilarious to no end!!! Evol might turn out to be a good manga too, I quite liked the anime. For now I'm going to check out Hanaya and Saihate.